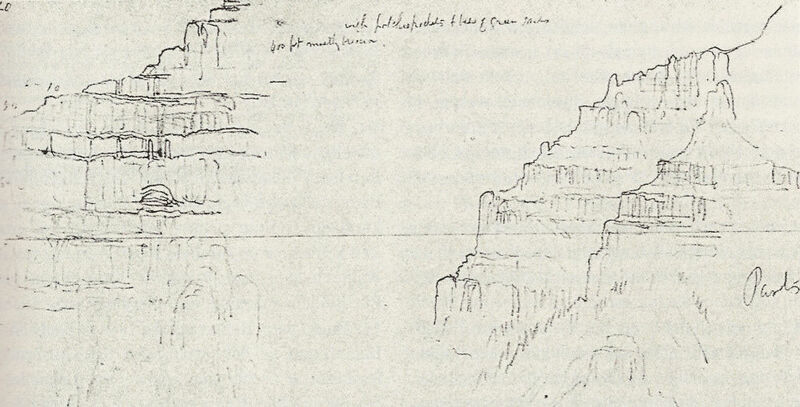 This drawing will be related to a next week anniversary, the most peculiar feature of this outcrop are the small vertical structures as seen in the left sketch - so what phenomena and concept of geology is recognizable here ? OK. It seems to be a sketch by Powell and the anniversary would be the beginning of his journey down the Green and Colorado rivers. Still havent deduced the significance of the small vertical features. 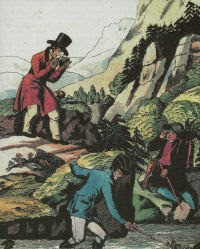 It´s not the Powell expedition (however accidentally I’m reading a biography and it´s good to see that 26 May I must post something). 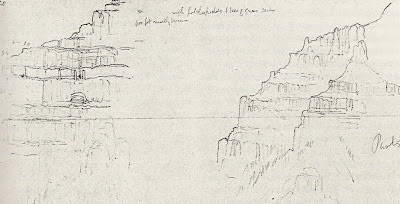 There is a much more prominent drawing of the same outcrop published in 1883 (but then it would be to easy)– apparently it is a succession of sediments (horizontal layers) in thick homogenous banks, the question is how much time was needed to deposit it (that’s a hind to the anniversary of next week)– and for the vertical sedimentological features, such things are quite rare in geology – sediments not tend to pile up vertically, at least not if there is nothing in the way like some … biology…. I'll guess it is the vertical petrified trees at Specimen Ridge, Yellowstone with a tie-in to the coming Mt. St. Helens anniversary, and perhaps a nice take-down of creationist "geology" if we're lucky.